From a student-led walkout over gun violence in schools to accolades for academic and artistic achievement, the Lusher Charter School board on Saturday morning celebrated students’ recent activism and achievements. On Wednesday, students from Lusher joined with others around the country from the National School Walkout in response to inaction on gun violence following the killing of 17 students in February in a shooting at school in Florida. Students from both Lusher’s high school and the middle school participated, some to promote activism around gun control, and others to commemorate the loss of life in Parkland, Fla.
All the activities that took place were led and organized by students, primarily by the Student Government Association, said high school principal Steven Corbett. The middle school students took a more commemorative approach, playing 17 trumpet notes and releasing balloons in honor of the shooting victims. Meanwhile, high-school student leaders actually encouraged the students in the protest to call their legislators with their opinions, Corbett says. “I think they did it in a very dignified, wonderful way,” Corbett said to the school’s governing board in a meeting Saturday morning. Students who opted not to participate were also respected and given a supervised place to remain in the building during the protest. The “vast majority” of students participated, but a number chose not to, Corbett says. “The adults did a great job of letting our students own that experience,” Corbett said. 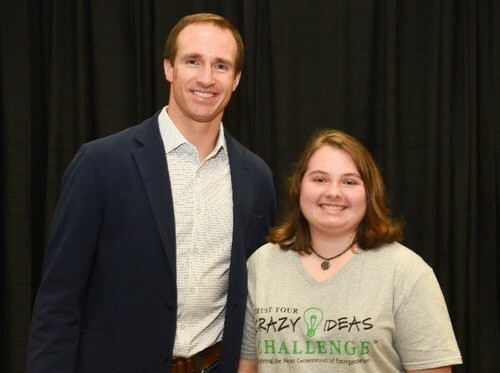 Two Lusher seniors, Julia Simon and Henry Wietfeldt, were selected as U.S. Presidential Scholars. 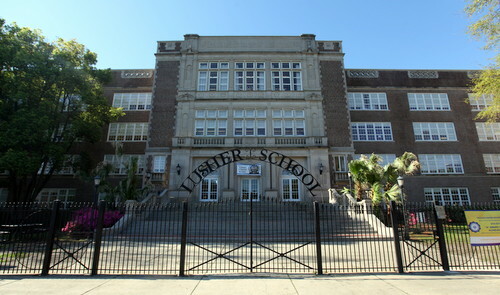 Lusher’s basketball team made it to the Final Four this year, the farthest its team has ever gotten. Former student Keiana Cave, who’s been honored by scientists around the country for her research into the 2010 BP oil spill, was highlighted this month in a segment on ABC’s Good Morning America. Another former student, Samyra Miller, has won accolades for her singing this year as a freshman at Harvard University. Finally, popular Saints player Alvin Kamara stopped by a Girl Scouts cookie table hosted by Lusher elementary students and bought the entire table’s worth of cookies. Saturday’s meeting also included a brief discussion on the structure and mission of the board’s executive committee. See below for live coverage. Public schools should be apolitical & not halls of indoctrination. This is clearly not the case at our social justice academies such as Lusher & Ben Franklin. I wonder if the administration and teachers would celebrate a walk-out against abortion with the same zeal? Funny how they are so supportive of this kind of activism but completely squashed their own faculty’s efforts to unionize.